Jeremiah Battle, Jr. is a staff attorney, author of NCLC’s Credit Discrimination and a contributor to several NCLC treatises including Consumer Credit Regulation, Collection Actions, Consumer Law Pleadings, Repossessions, Foreclosure Prevention Counseling, and Unfair and Deceptive Acts and Practices. 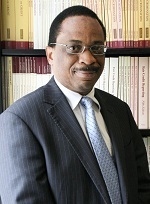 Previously, he was a staff attorney with Northeast New Jersey Legal Services where he focused on predatory mortgage lending and public benefits cases, and managing attorney with New Jersey Protection and Advocacy, Inc., (now Disability Rights New Jersey) where he concentrated on disability rights issues. He earned a B.A. with high honors from Rutgers University and a J.D. from Rutgers School of Law – Newark.